WHY OMNILUX IS THE BEST LED LIGHT THERAPY AVAILABLE? Want to know a sure-fire way to get a truly glowing complexion? Put Omnilux LED light therapy on your Christmas list! LED stands for Light Emitting Diode. But, what does that mean? In layman’s terms, it is a device with a computer chip encased in resin, something roughly resembling glass, which gives out therapeutic wavelengths (or colours) of light energy, and beams them into your skin cells to promote regeneration on the cellular level. LED Light Therapy was initially developed to aid in the recovery of wounds and post-surgery scars, without the harmful use of radiation. However, this TGA listed (Therapeutic Goods Administration) treatment is frequently described as a therapeutic, relaxing and time-friendly process, which can be undertaken during a lunch break at work or whenever you have a spare thirty minutes! What’s better is that unlike more physically intensive therapies no downtime is needed for recovery! At Serene Day Spa we have all three different OMNILUX LED Light Therapy heads available with each colour focusing on a different depth of the skin to treat different concerns. The Revive (Red) and Plus (Clear) Lights work by targeting the cells in your dermis layer of the skin, by harnessing the natural power of light in its correct wavelength. If properly administered, your skin will convert that light energy into Adenosine Triphosphate or ATP- this one of the most important molecules involved in promoting cellular regrowth and directing your fibroblast cells in your skin to produce collagen; the key ingredient in making your skin healthy, full and plump! As well as this vital factor, the LED process also promotes elastin cells, responsible for giving your skill a robust and long-lasting wellness and vitality. As part of the rejuvenation process both lights encourage a wound healing response on the skin and are fantastic post invasive treatments or surgery, as well as to treat psoriasis, dermatitis and more. The Omnilux Blue light is famous for treating Acne by killing the P-Acnes bacteria that causes breakouts as well as reducing inflammation. Phenomenal results are achieved when combined with the Revive light in a course of treatments. In-salon treatments are recommended two to three times a week for a course of four to six weeks. Ideal for pre-wedding prep or before a big event, a session only takes 30 minutes. OMNILUX LED Light Therapy is great for reducing the appearance of fine lines and wrinkles, improving uneven skin tone, brightening the skin and rejuvenating the youthful look of your skin! Includes cleansing and exfoliation, Omnilux therapy, Hand and Arm Massage, Serums and moisturiser application to protect the skin. The perfect combination to refine and exfoliate before hydrating and plumping with the Omnilux. From clearing to hydrating, brightening to anti-ageing our therapists will combine the correct duo for you. 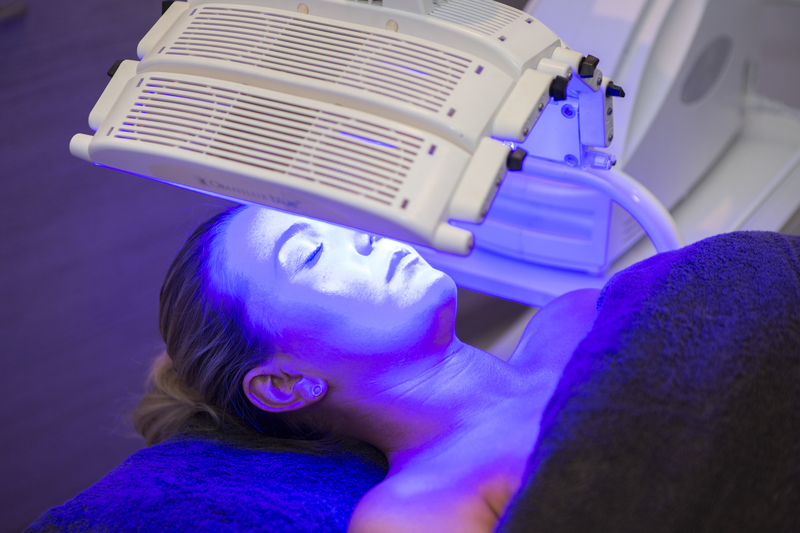 An advanced power facial to refine and refresh skin including our signature Microdermabrasion followed by a high powered Lactic Peel, plumping Omnilux Light therapy treatment and soothing specialty mask. Retexture, refine and rejuvenate all in one for radiant skin. *Not suitable for all skin types. If you’d like to learn more about OMNILUX LED Light Therapy, to discuss our product offerings or for any other enquiries, get in touch with the SERENE Team today!